"JOJG is one of my favorite journals. Besides the great articles, illustrations, and editorials, I've especially enjoyed the resources you provide." 64-PAGE RESOURCE DIRECTORY This useful tool offers information and contact information about designers, suppliers, merchants, and other professionals who can help you with your home and Japanese garden. KYOTO GARDEN TOUR Twice each year JOJG sponsors a 13-day walking tour of Kyoto's finest public and private Japanese gardens. Spaces are limited and this tour fills up quickly. Sign-up early! WORKSHOPS & CLASSES. Each year JOJG sponsors dozens of lectures and hands-on workshops. The events are offered at various venues throughout North America. Workshop participants can learn about topics such as tree pruning, stone setting, and fence building. Our indoor lectures and slide shows cover topics such as Japanese architecture and Japanese garden history. MINI-BOOKLETS. The Japanese Garden Journal has compiled some of its best articles into booklets about selected topics. Mini-Booklets are currently available on the following topics: 1) Advanced Pruning, 2) Stone Setting, 3) Japanese Architecture, 4) Path Construction, 5) Bamboo Cultivation, and 6) Japanese Maple Cultivation. INTERNSHIPS IN JAPAN. Want to train as a gardener or carpenter in Japan? JOJG has established several positions for qualified applicants who are already JOJG Subscribers. Contact JOJG for details! BOOK REVIEWS. 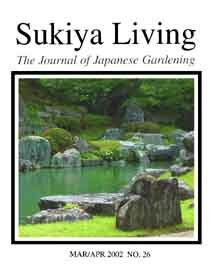 Most issues of the magazine include critical reviews of newly released Japanese garden books. A visit to your local bookstore will make it clear that most of the books available today are poorly written and riddled with misinformation. 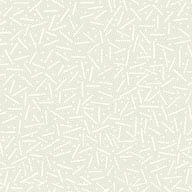 Our reviewers do not pull any punches, and we only recommend about 25% of the books we review. ANNUAL BOOK RANKINGS. Each year JOJG releases a ranked listing of the top Sukiya Living books ever published. The list is compiled from polling data received from the Western World's top Japanese garden and Sukiya Living experts. ENCYCLOPEDIA & PRONUNCIATION GUIDE To understand the Sukiya Living Tradition, it helps to understand just a few Japanese terms. Each year JOJG publishes an extended article that provides definitions and pronunciations of the most helpful Japanese words and phrases. Q&A SECTION. Each issue of the magazine includes a 2-page section where readers can ask specific questions of JOJG's expert staff. CALENDAR OF EVENTS. Published in every JOJG issue, this is a listing of upcoming classes, workshops, exhibitions, and other events that readers might be interested in. OUT-OF-PRINT BOOKSTORE. Many of the best Japanese garden books are no longer in print. JOJG maintains an inventory of these books and offers them for sale to JOJG readers. JAPANESE GARDEN MARKETPLACE. This is the advertising section located in the back of each JOJG issue. The Marketplace provides a forum for readers and businesses to connect with each other. The Japanese Garden Journal does not make a profit from these ads. TRADE PROFILES The magazine regularly runs articles that examine certain segments of the Sukiya Living industry. These articles usually strive to identify the top merchants/suppliers in their category. AFFILIATE PROGRAMS JOJG supports these organizations and the educational programs that they offer. SUKIYA LIVING RESEARCH LIBRARY. The company's staff library in Maine is available on request for special research projects. JOJG's library includes hundreds of Japanese language books related to topics such as architecture, Japanese culture, and Japanese garden history. JAPANESE GARDEN TRAINING CENTER. We are currently developing a Japanese garden training center at JOJG's facility in Rockport, Maine. Plans are underway to offer "study vacations" featuring classes in aesthetic tree pruning and other topics.